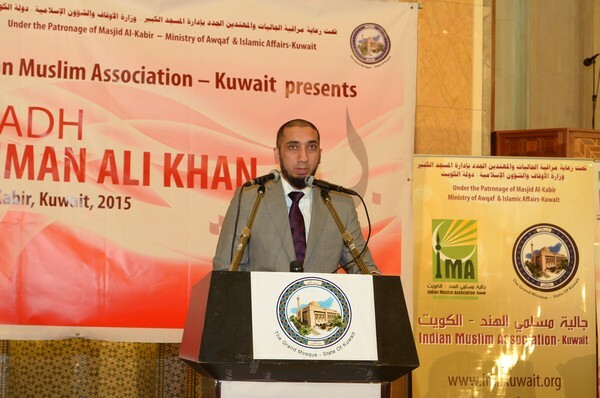 Last week, As- Salaam Institute held their inaugural Jalsa End of Year Celebration. The event was held at Rochedale Mosque, with kids activities and jumping castles extending to the fields behind the mosque. 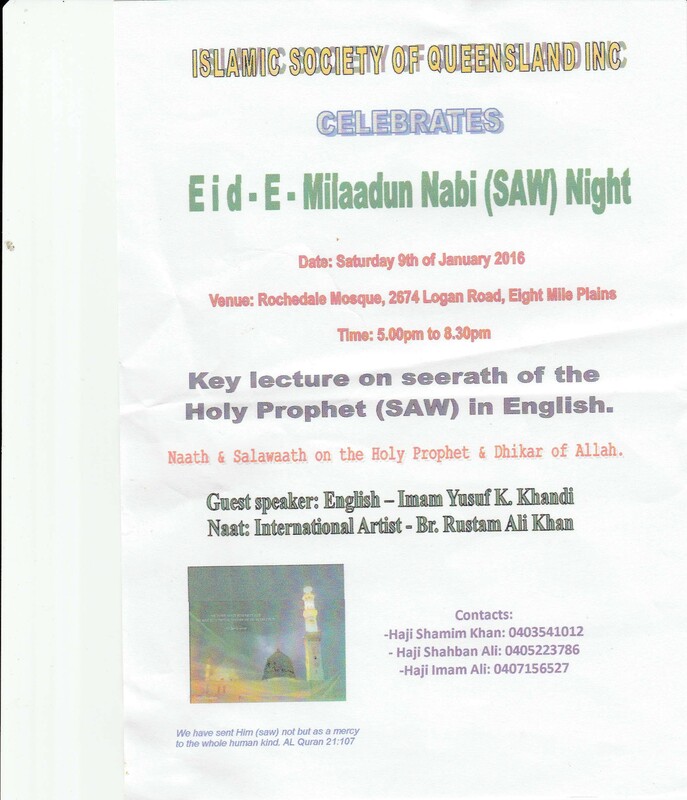 The ceremony began at 1.30pm, and featured performances and Quran recitations. Hosted by two brilliant students, the event ran smoothly with many well- deserved trophy and certificate achievers. The parents in the audience were both surprised and happy, with their facial expressions matching those of the recipients�. The teachers too felt surprised and happy as students handed them present bags. The echoes of laughter floated down the stairs as the crowds moved toward food. There was so much variety to choose from, with many stations of food- sausages, savouries, cupcakes, cake pops, a huge cake, and a lolly buffet. The grandest treat of all, though, was the free- flowing 7 flavoured gelato van. While the adults were busy snacking, the kids were running around the field, choosing between two jumping castles. Other activities included henna, colouring in contest and face painting. 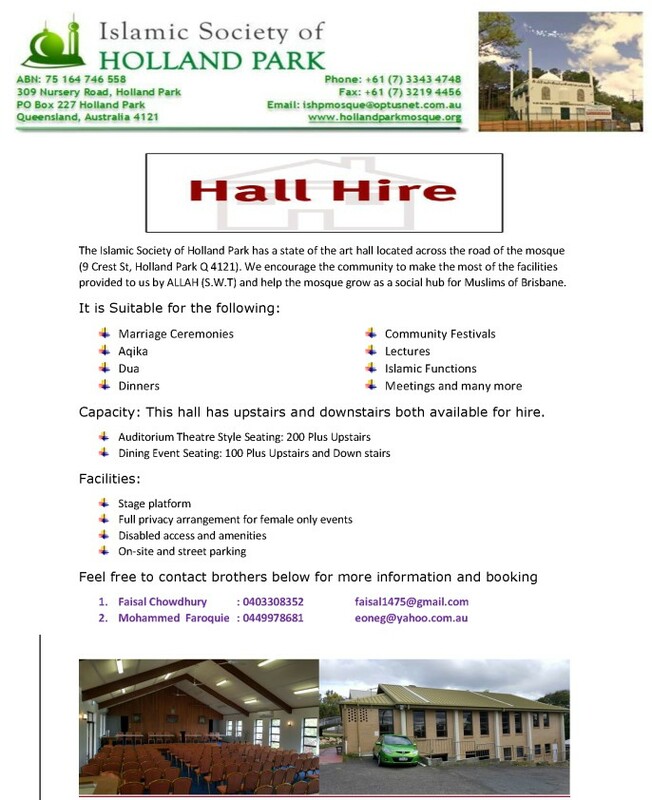 This Jalsa could not have been possible without the sponsorship of the Australian Halal Food Services and the help of our generous volunteers. Our selfless volunteers, from the tireless mothers and fathers who contributed their time and efforts, to the various students involved in the planning; ensured a fantastic celebration. Thank you to all involved and we look forward to a fun-filled and productive year, in shaa Allah. 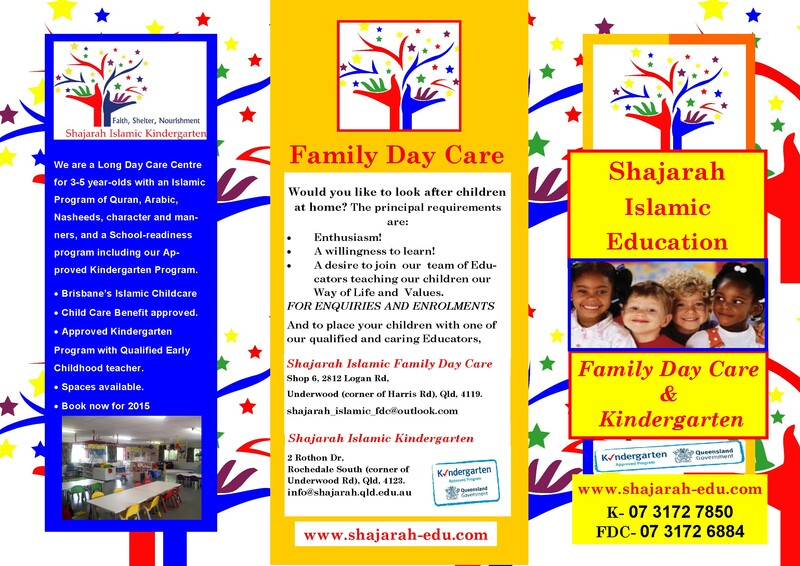 A special thank you goes out to the wonderful team of volunteering parents who worked very hard to make the day special; to Sister Nora and her husband Effendi, sister Dr. Shahana Abed-Akbar, sister Fatima Omar, sister Zeenat Suleman , sister Shehnaz Girach, sister Fadilla Abdullah, sister Hanan Omar, Hafiz Hamza Girach, Brother Asif Meman, Dr. Muhammad Akbar, Brother Mansur Omar and his son Aadil. 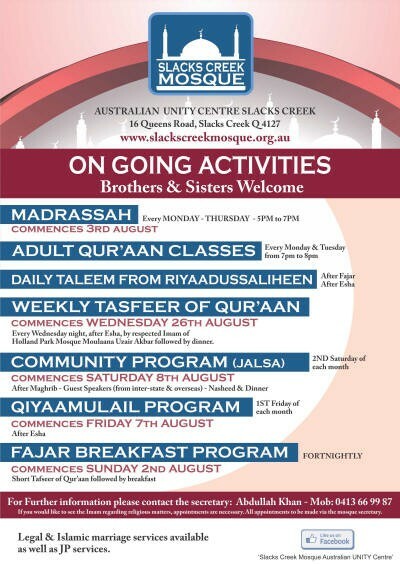 The comedy series entitled Here Come The Habibs, is the story of a Muslim family who move into one of Sydney�s wealthiest suburbs, Vaucluse. It's a second migration for the Habib family, first it was Lebanon to Australia, now Lakemba to Woolwich. Not everyone is happy to see them and the Habibs find themselves in conflict with their new next door neighbours. The O'Neills are Woolwich royalty - old money and proud of it. They're extremely uncomfortable with goats and chickens, shisha pipes and people of Middle Eastern appearance, but the Habibs can't understand what all the fuss is about. One family want to stay, the other family want them gone. 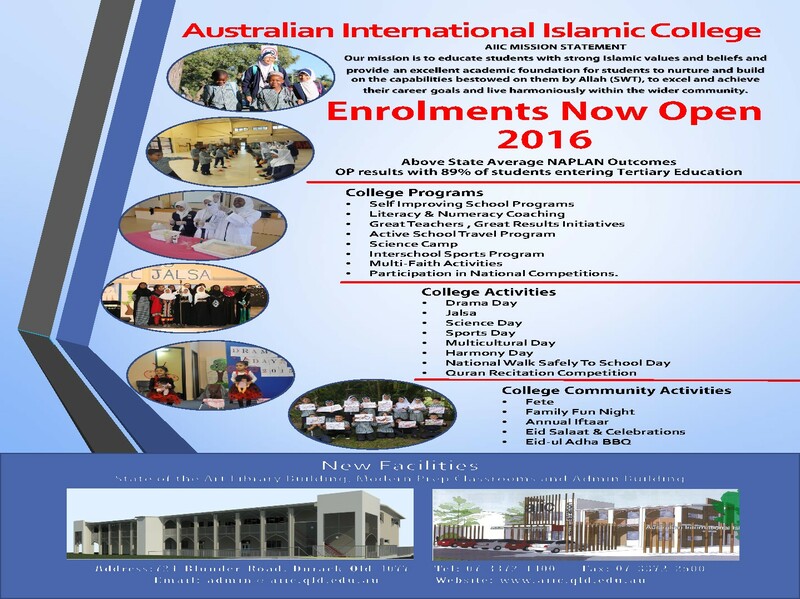 The Islamic Council of Queensland (ICQ) has released its inaugural community report. 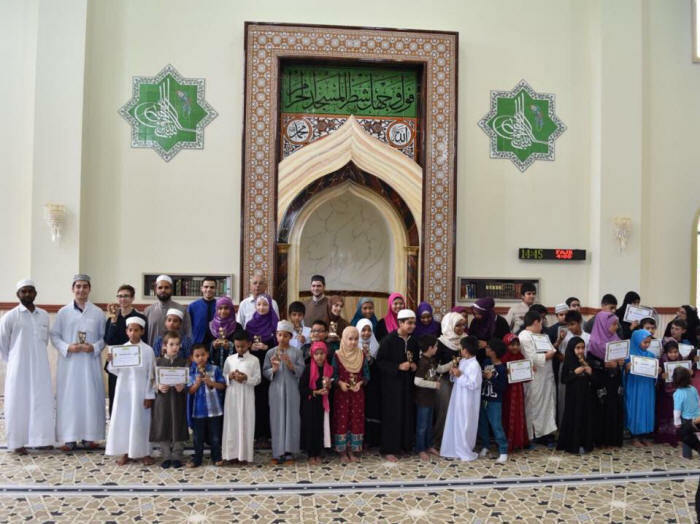 The Islamic Council of Queensland has had a very busy year and adopted a collaborative approach in establishing itself as a value adding peak body for the Queensland Muslim community. 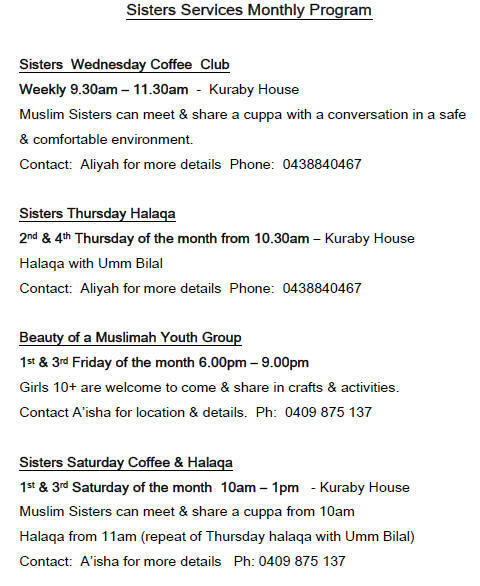 Our focus has been on engaging and building a stronger relationship with all of ICQ�s Member Societies, other Muslim and Non-Muslim community based organisations, regulatory authorities and the various levels of government. 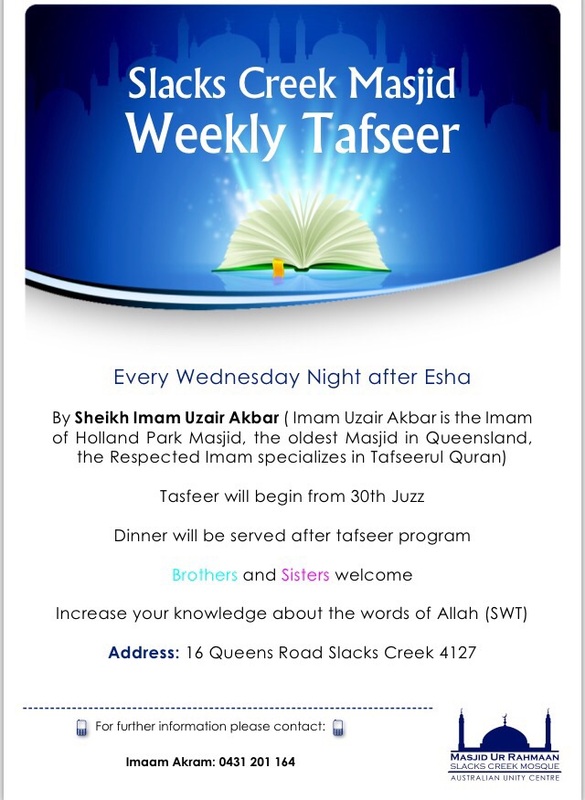 We are all living at a time which presents us with a great opportunity to lead the way in the promotion of positive messages that will, Insha-Allah, enhance social cohesion. 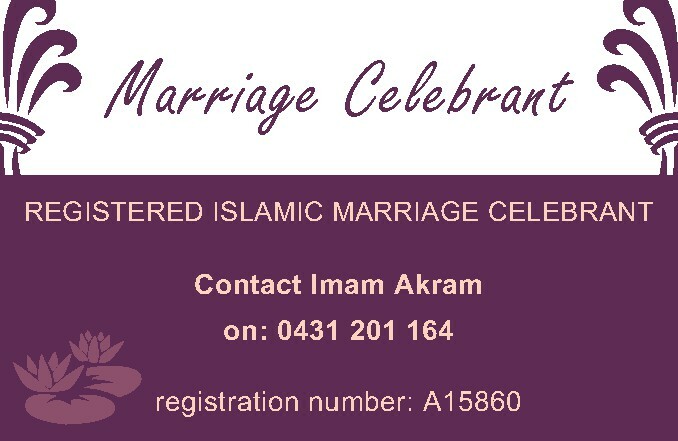 ICQ's vision is to serve the very diverse Muslim community in a way which facilitates a future that is filled with strong bonds of friendship, both within our community and with the wider Australian community. We are bound to have made many mistakes along the way, and we will surely continue to do so as we learn how to serve you better every day. Please accept our sincerest apologies if our actions have in any way offended or hurt you - for this was never our intent. We request that you provide us with any constructive feedback on how we can improve and we are always more than willing to receive any help you may wish to offer. 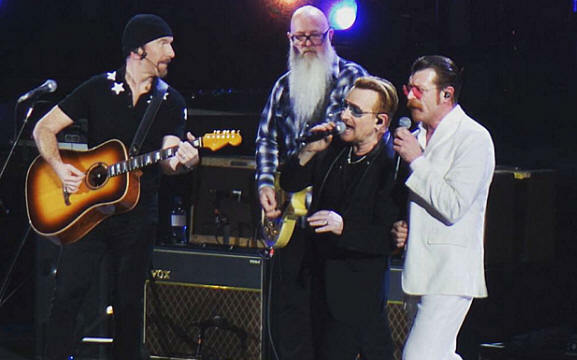 U2�s Bono this week told the crowd at their concert in Paris: �Tonight we are all Parisians.� Many had tears in their eyes as he lamented the loss of 130 lives in coordinated attacks in Paris on November 13 claimed by Isil. �We stand with the families of the terrorists whose lives have been torn apart by an ideology that is a perversion of the beautiful religion of Islam,� Bono said. "Islam, as I understand it, means to surrender - to surrender to God." Mike Holt's Restore Australia is unashamedly anti-Islam. 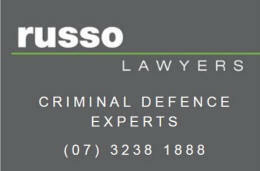 A prospective new political party in Australia would make it illegal for people to practise their Muslim faith. Restore Australia, headed by one-time One Nation candidate Mike Holt, wants to field Senate candidates at the federal election, running on an anti-Islam, protectionist platform. 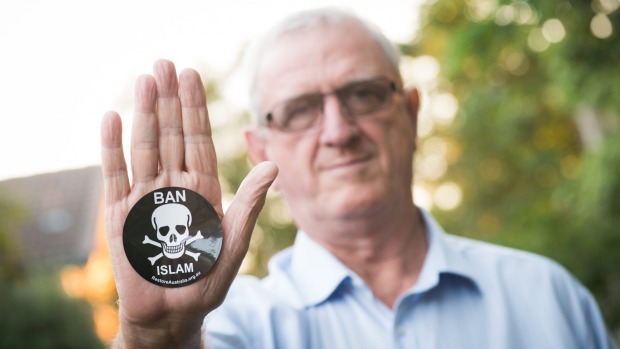 It is the latest in a string of anti-Islam micro parties to announce its political intentions, following the United Patriots Front and Kim Vuga, a one-time participant on the SBS program Go Back to Where You Came From who went on to form the political party Love Australia or Leave. The United Patriots Front has more than 30,000 supporters on Facebook and has lent its support to the failed campaign against the Bendigo mosque. Its leader Blair Cottrell has previously stated that every school in Australia should hang a picture of Nazi dictator Adolf Hitler and every student have a copy of his manifesto Mein Kampf. Despite their similar preoccupations with Islam, Mr Holt said his party bore little similarity to the UPF: "They're a bunch of right-wing Nazis, to be honest with you," he said. Like the ultra-nationalist, far-right Australia First Party, Restore Australia advocates the introduction of "citizen-initiated referendums", which would allow any Australian to submit legislation to parliament, so long as they had the support of at least one per cent of the population, or about 240,000 people. But Mr Holt insisted that unlike Australia First, which also campaigns against "Muslim migration", his group was "middle of the road" and did not identify as left-wing or right-wing. "We seem to be bedfellows, but we're not. We're not racists," he said. Mr Holt's party will campaign on re-introducing tariffs on imports, compulsory military service for able-bodied men and women and combating "the threat within". 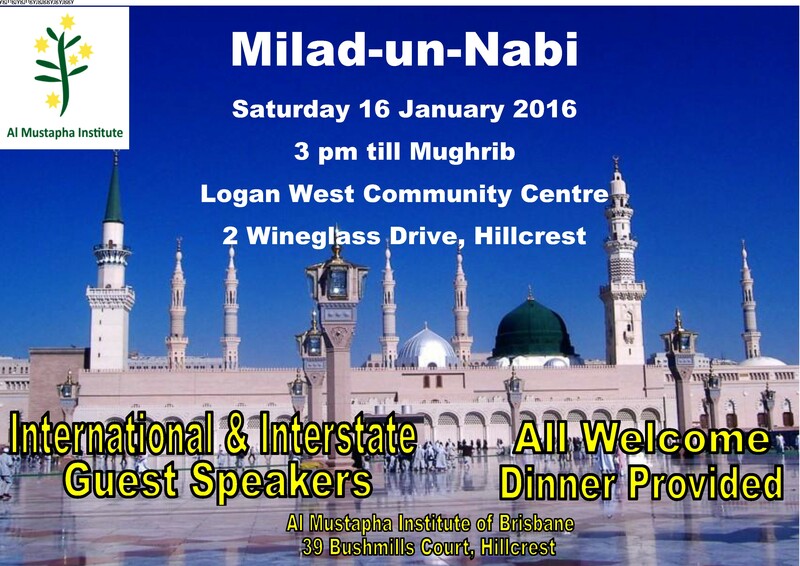 But it will be Restore Australia's militantly anti-Islam focus that is expected to attract most attention. "We believe that Islam is not compatible with Australian society, and under our Constitution it is actually illegal for anyone to be a supporter of Islam," he said. "They have a choice. 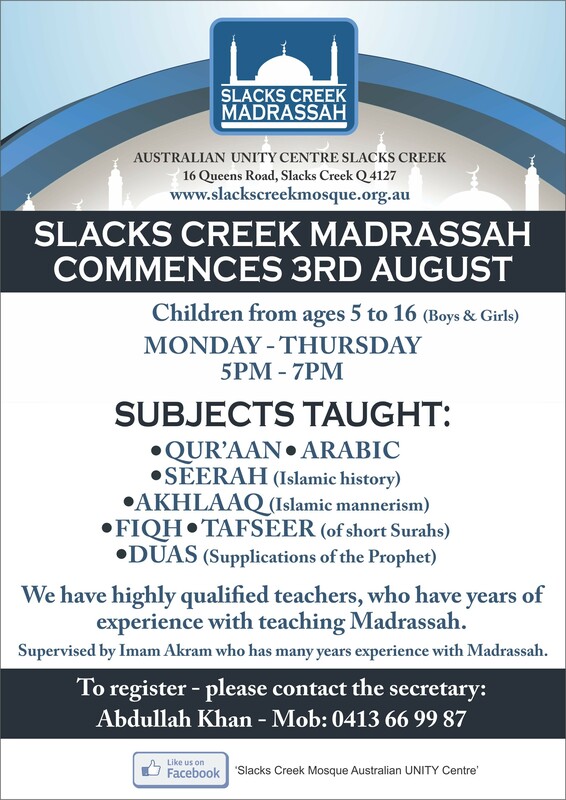 They can either leave Islam and become full-on Australian or go to another country where they can practise their Islamic faith. [As Muslims] they can't be loyal Australians first. They are always loyal to Islam first." Should it attract the 500 members required to register a political party, Restore Australia will funnel preferences to other "patriot" groups at the election. Why was a 9th century Viking woman buried with a ring that says �for Allah� on it? The ring is unique. Made of silver alloy, it contained a stone with an inscription written in the Kufic Arabic script widely used between the 8th and 10th centuries. "For/to Allah," the inscription read. It was the only known Viking Age ring with an Arabic inscription to be found in the entire of Scandinavia. Exactly how the woman got the ring wasn't clear � she was found wearing typical Scandinavian dress, so presumably the ring arrived through trade. Now, new research from biophysicist Sebastian W�rml�nder of Stockholm University and his colleagues has confirmed exactly how unique the ring was. In the journal Scanning, the researchers recount how they used a scanning electron microscope to investigate the origins of the ring. 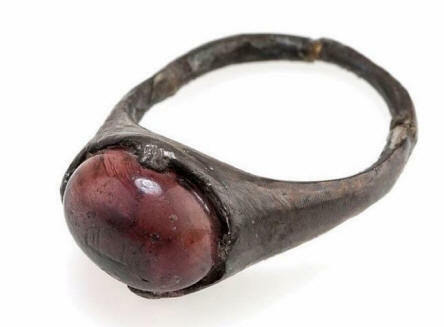 Notably, they discovered that the stone in the ring is actually colored glass � at the time an exotic material for the Vikings, though it had been made for thousands of years in the Middle East and North Africa. Even more notably, the ring displayed a remarkable lack of wear, leading the authors to speculate that it had few � if any � owners in-between its creator and its Viking owner. Instead, W�rml�nder and his colleagues suggest, it appears to show direct contact between Viking society and the Abbasid Caliphate that dominated much of the Middle East and North Africa. The authors write, "it is not impossible that the woman herself, or someone close to her, might have visited � or even originate from � the Caliphate or its surrounding regions." I must say I was a bit apprehensive meeting Ustadh Nouman Ali Khan in person. Having watched his lectures, read his interviews and blogs and having felt the general buzz about him made him seem quite larger than life. I was secretly prepared to meet an intimidating, overbearing individual who would probably not even be open to answering all my questions. However, meeting him in person, I was pleasantly surprised. Not only was Ustadh Nouman extremely warm, friendly and good natured, he was also just as eloquent in personal conversation as in his speeches and equally humorous. It was indeed a pleasure and an honor to have this short and insightful exchange with him. Continuing on the topic of widespread adulation he says, �For someone who knows little about me to be impressed by me means very little. What means a lot more for me is that my children are impressed; my wife is impressed, my parents are impressed, my siblings and my best friends are impressed. They are the true mirrors of who I am. Just as the mirror doesn�t lie to you, the criticism and the praise of true friends and family is genuine.� explains Ustadh Nouman. While he appreciates people watching his YouTube videos and loving them, that praise doesn�t affect him. Simply because appreciating what he says is not the same as appreciating him. They are two different things. This mosque in Isfahan, a city said by travel writer Robert Byron to rival Athens and Rome, would be known around the world were it in most other countries. Because it is in Iran, however, it has been explored (and Instagrammed) by very few western tourists. Built in the early 17th century under Shah Abbas I, it does not have a courtyard or minaret, making it architecturally unusual. 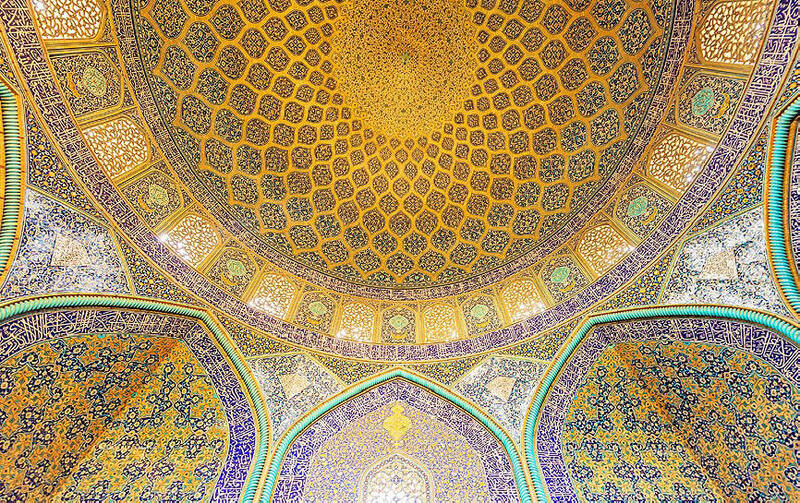 Stories that the mosque was built for use by members of the Shah�s harem are not backed up by reliable sources. You will do more than condemn, too. You will show that you are actively involved in building narratives that compete with the dangerous ones. I know you won�t do this because powerful people are asking the questions, but because you, like me, want better for your communities. Long before ISIL became the watchword on everyone�s lips, before Islamophobia had become the platform of too many Western political parties, I attended a gathering of Muslim leaders in the Middle East. The reason I recall this to you is because the point of this gathering was to bring top minds together to discuss our common challenges. Very quickly, however, we became split. Not out of hostility or apathy, but because our experiences and our priorities were so different that our conversations proved frustratingly unproductive when held in unison. Whether we were Pakistani Britons, Crimean Tatars or African Americans, it was clear Western Muslims had more in common than with each other than Muslims from the so-called Muslim world. It is not just impossible, but unreasonable to expect so many different people to think along the same lines, to have the same priorities. Unity shouldn�t mean unanimity: Down that road lies dictatorship and extremism. Unity should mean a desire for ongoing and accelerating cooperation in ways that are tangible, realistic, and productive. This is one of those songs you listen to and realize everything is going to be okay. "Take Me Home," which came out in 2007, is definitely one of his older and softer songs. Recently, he's been much more political, grappling with racial and economic inequality. Abedin's father, Syed Zainul Abedin, was Indian, and her mother, Saleha Mahmood Abedin, is Pakistani. 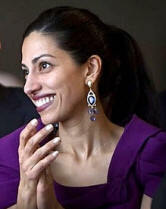 Huma Abedin may be America�s most powerful Muslim woman. The 39-year-old Kalamazoo-born political staffer is a long-time aide to Hillary Clinton and was her deputy chief of staff at the State Department. She currently serves as vice chairwoman of Clinton�s 2016 campaign for president. But can she be trusted? In 2012 five Republican Congress members wrote to the State Department inspector general and claimed that she had �immediate family connections to foreign extremist organisations�. The claims were refuted and the allegations dismissed by the Washington Post as �paranoid�, a �baseless attack� and a �smear�. Republicans baselessly smearing Muslims? 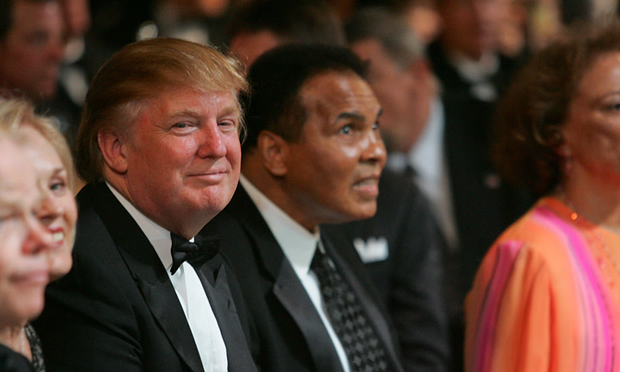 At least Donald Trump is around in 2015 to stand up against that kind of thing. Star athlete Sonny Bill Williams has caused a twitter storm by posting online graphic images of dead children following his visit to Syrian refugee camps in Lebanon. The photos depict two children lying dead with horrific injuries. The high-profile All Black travelled to camps in the Bekaa Valley earlier this month as a Unicef ambassador. Like my fellow Muslims, I strenuously object to the lazy conjugation of the words Islamic and terrorism, for the rather obvious reason that there is nothing Islamic about the murder of innocent civilians. Unlike so many of them, however, I also take issue with the term �Islamic state�, and for the very same reason: there is nothing Islamic about a state. The two concepts have nothing in common. 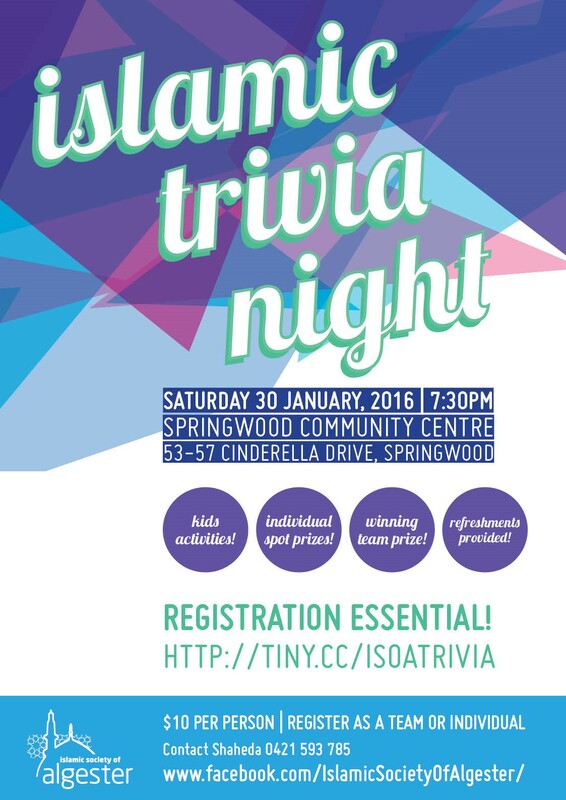 Let�s take the word Islamic. The casual and careless application of this adjective to religious and cultural phenomena alike has blurred the all-important distinction between Islam, the divinely revealed, perfect and infallible faith, and Muslims, the rather flawed, imperfect and very human practitioners of that faith. CORSICA: An angry mob retaliating over attacks on firefighters and police has ransacked a Muslim prayer house in the French island of Corsica. The crowd set books, including several copies of the Koran on fire. Tensions mounted in Ajaccio, Corsica's largest city of some 65,000 residents, after a night of violence in Jardins de L'Empereur. Two firefighters and a police officers were injured in what the authorities described as ambushes by �several hooded youths� in the low-income neighbourhood. On Friday afternoon, some 150 demonstrators gathered in front of the police HQ in a show of support, AFP reported citing officials. But part of that crowd broke off and joined an estimated 600 people, who marched towards the housing estate where violence had occurred the night before. The crowd was shouting slogans in Corsican, such as: "Arabs get out!" and "This is our home!" The angry demonstrators ransacked a nearby Muslim prayer house, smashing glass and partially burning some 50 books, including copies of the Koran. In the year that Islamist terrorism finally reached London, when the Christian west and Islamic east are engaged in another major confrontation, there has never been a greater need for both sides to realise what they have in common. Last week, the Washington Post published an article by Asra Nomani and Hala Arafa (see CCN581), in which they asked women not to wear headscarves in the name of interfaith solidarity. 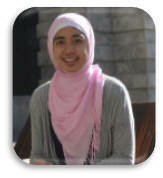 Their reason being that because the term hijab, commonly used to refer to the headscarf, does not appear in the Qur'an. Therefore, the argument goes, wearing of headscarves by Muslim women is in fact not part of Islam, but rather a cultural accretion and byproduct of ultra conservative innovation pioneered by the likes of the Saudi government and the Islamic State. Before highlighting the major academic flaws in the article, I must express my disappointment that such a piece was published by two women who claim to champion women's choice. The majority of Muslim women choose to wear a head-covering as a spiritual act, and it is high time that they receive the support to freely wear what they want without judgment or reprisal. TOPIC: �Four advices of the Prophet to Jabir bin Sulaam"
TOPIC: "Benefits of Surah Ikhlas"
TOPIC: "Halal Sustenance and Spending"
ACEH, INDONESIA: Amid the pitiless heat and humidity of the afternoon, a slight young woman screams in agony as she is thrashed repeatedly with a cane. Her face becomes a mask of pain and humiliation until she collapses forward on to the ground, clutching pitiably at her shoulder. Her �crime� was to have been found in the company of a fellow undergraduate who was a man but was not a relation. This barbaric scene, which took place on Monday, is the latest example of Sharia law as enforced in the Indonesian province of Aceh; a remote jurisdiction where this year�s Christmas and New Year celebrations have also been banned by the strict Muslim authorities. The woman�s name is Nur Elita and she is 20 years old. It was alleged that she had committed khalwat (affectionate contact by an unmarried couple) with another university student. Dressed in modest Muslim costume, she was escorted by members of Aceh�s Sharia police into the front yard of the Baiturrahim Mosque in the provincial capital of Banda Aceh - the area famously devastated by the 2004 Boxing Day tsunami. 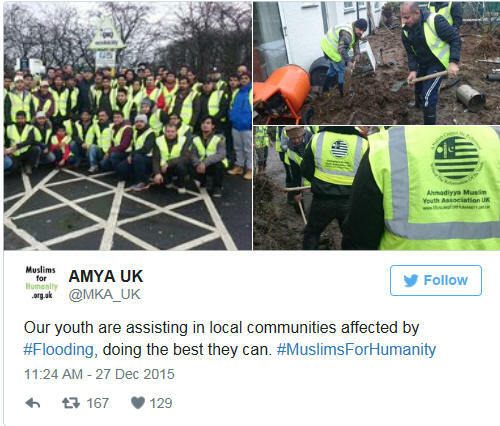 UK: Groups such as the Ahmadiyya Muslim Youth Association (AMYA) have been active in areas affected by the flooding in Lancashire, Yorkshire and Cumbria. The AMYA's Farooq Aftab said: "The youth have emphasised the importance of unity within communities in testing times such as these. 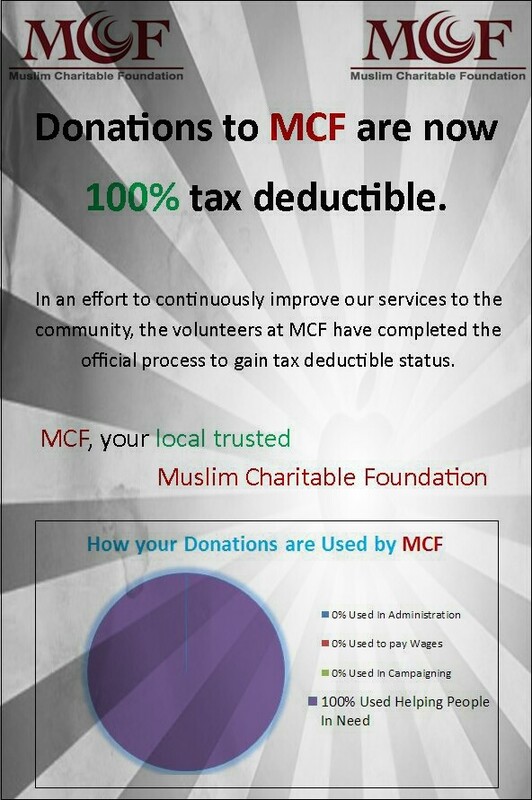 Moreover they have felt that the importance of such works is promoted in Islamic teachings such as 'Charity is a part of one's faith' and by the fact that the Holy Prophet of Islam, Muhammad (pubs) was referred to as 'Mercy for Mankind'. "As Muslims Islam teaches us to serve humanity irrespective of faith, colour, race or no faith. 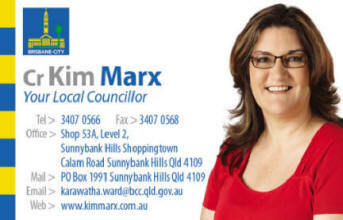 Serving our own local community is at the forefront of our minds. This is what true Islam is about." One of the Meat and Shake restaurants in suburban London. The executive chef, Christian Stoner, left, with the co-owner of the chain, Faraz Ahmad. 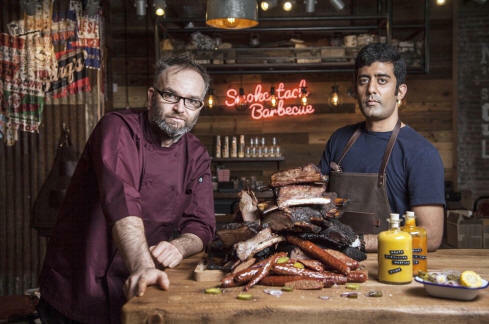 UK: With Lafayette wings and spicy sausages among the starters, and burgers and steaks to follow, Meat and Shake restaurants offer classic smokehouse menus promising the flavours of the American south in suburban London. But there is a striking difference that sets the growing chain apart in western catering. All food and drink is served according to halal principles, so there is no wine list and the only beer on sale is non-alcoholic. And the �hot link� sausages are of beef and lamb, not pork. It hardly seems surprising that the chain�s two founders, entrepreneurs of Pakistani origin, should now be seriously considering expansion into the UAE and other Muslim countries where such an approach would be entirely natural. Yet there are already strong signs that Meat and Shake has also found a recipe for niche success in a British market dominated by restaurants with liquor licences. �We do have some walkouts from people who realise only after entering that we do not serve alcoholic drinks,� says Faraz Ahmad, who launched the business with a friend, Osman Ahmed, in 2010. �A few react quite angrily, saying we have no right to operate the policy or that they won�t return because of it. There were even a tiny number of emails from people who somehow equated halal with terrorism. SUDAN: In eastern Sudan's Gaderif city there is a school with a special mission. It is educating the country's future midwives to play a role in eradicating Female Genital Mutilation or FGM. But their roles are much bigger than that even, explains Ekhlass Hassan Ali Khaleel, the director of the Gadaref School of Midwives. They are, she says, community leaders. At the gated entrance to the school's premises, women in flowing white cotton gowns come and go, their outfits a striking contrast to the turquoise blue walls of the school. They smile as they pass by. Most are aged between 19 and 40. "We are not just educating 'Qabelat' midwives," she says. "We are creating society's role models, [those who] will educate society and diminish the cultural myth of FGM." 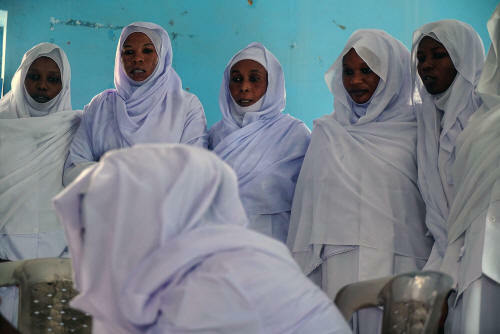 "Our midwives are our ambassadors," she explains, before adding: "The midwives who graduate from this school never practice FGM; they took the Midwives Oath that prohibits them from doing so." In fact, if the school finds out that one of their midwives have performed FGM, they will have their license revoked. They will then have to return to the school and go through a period of retraining until the school's authorities are convinced that they will never again practice FGM. The school has an agreement with local schools and the police where they report anyone that performs FGM. "If one of our midwives performs FGM they will be punished and shamed," says Zakaria. "They will have to come back to school where they will need to go through their education again." In a community where people work are encouraged to work together to end the practice, children are also taught to inform their teachers if their families intend to perform FGM on them or anyone else or have if they have already had it done to them. Since the school was opened in 1973, the number of incidents of FGM have dropped. Out of the 12 counties in Gadaref state, only one now officially allows FGM. Khaleel believes that FGM has now almost been abolished in the area, and that the school she directs has played a large role in this. US: 17-year-old Waleed Khan who managed a perfect score on his Scholastic Aptitude Test (SAT). SATs are a source of nightmares for students who apply for universities in Pakistan and the US. There are some who only wish to pass the test and then there are those who pass the test with flying colors. Then there is that less-than-one percent quota of students from around 1.6 million SAT aspirants each year who ace the exam with a perfect 2,400 score. 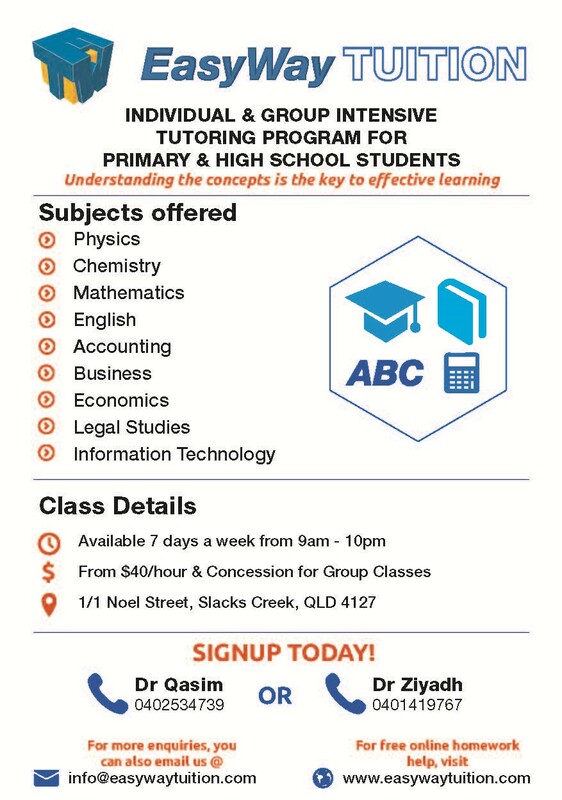 Waleed is one such student. 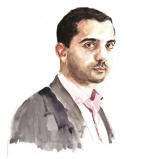 Waleed is a student at California Modesto High School. He hails from Aboha, Swat. His family shifted to California in 1996 after his father Dr Gohar Raza graduated from the Aga Khan University in Karachi. His father is a renowned cardiologist in California now. His mother practises internal medicine. He has four brothers and a sister. KUALA LUMPUR, Dec 26 � G25, which has been accused of being deviant over its criticism of khalwat laws, says it is not aiming to �reform Islam�, but only to review Shariah legislation that is unconstitutional and which violate Islamic legal principles. 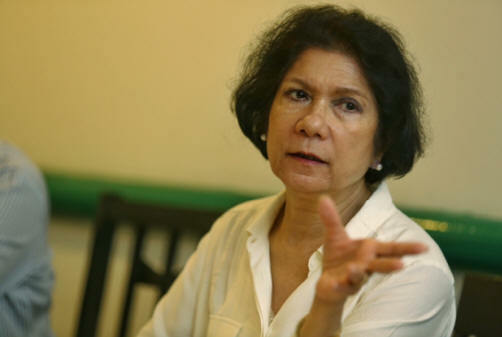 Datuk Noor Farida Ariffin, a former Sessions Court judge who represents the group of Malay retired senior civil servants, points out that fatwa (religious edicts), for example, are gazetted into binding rules in Malaysia, even though they are merely a voluntary and optional concept in Islam. In an exclusive interview with Malay Mail Online here, Noor Farida talks about the support of the royalty for G25�s work, her fears for Malaysia amid extremism, and how she is weathering the storm of attacks. 1. What do people say to you in their attacks? �Mampus lah; murtad; you�re almost six feet underground, should not be making noise; repent� � I would advise them the same. In Islam, although they want to call us �murtad�, only God, that is �urusan Allah�; only God can do that. Unless a person himself renounces Islam, nobody else can call you an apostate. It�s really shown me the ugly face of Muslims in the country. I am just shocked. In my naivete, I never thought a simple call for reform of a law, which is a man-made law, which exists in no other Muslim country because they respect the Quranic injunction to respect people�s privacy and not to expose concealed wrongdoing...We�re the only country. And my God, the storm it�s created, the abuses we�ve been subjected to, the filthy language used, the false allegations, it�s just � my God � mind-boggling. If I�m not a strong woman, I would have collapsed under all this weight. But as I said, God is my protector because we believe in what we�re doing. We�re trying to create a better Malaysia. We�re trying to salvage the image of our religion as good Muslims, which is being hijacked, tarnished by all these people claiming to be the champions of Islam. The St Andrews Church in the heart of Bandar Seri Begawan, Brunei. Christians in the oil-rich state celebrated Christmas today amid restrictions on Muslims from celebrating it. BRUNEI: It was reported that Christmas celebrations were banned in Brunei (see CCN581). 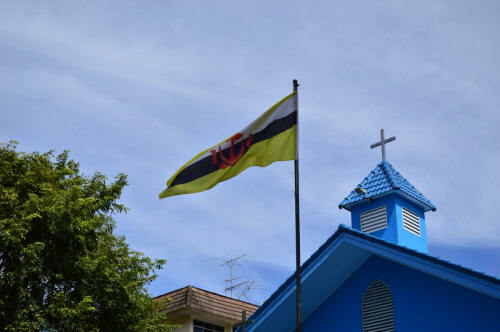 So I went to the biggest church in Brunei, about 15 minutes from my place, to see how the ban affected the minority Christians in this tiny oil-rich country. For the record, Muslims form 67% of the population, 13% are Buddhist, and another 10% Christian. The remaining 10% subscribe to various religions, including indigenous religions. I began my journey to the Church of Our Lady of the Assumption at the heart of Bandar Seri Begawan, the capital city of Brunei. It is the biggest church in Brunei, in front of which there is another church painted in blue, St Andrews Church. When I reached there about 8.30am, the place was packed. Cars were parked at both sides of the road. There were a few stalls along the road near the entrance of the church selling clothes, drinks and foods. Outside the church, I asked a woman if Christmas celebrations in Brunei were banned. She told me the ban was only for Muslims and in public spaces, but in churches and in private properties, they could celebrate as usual. Well, that explains a lot why I did not see Christmas trees in shopping complexes. I walked curiously to the church compound. It was the first time I got inside a church. Before the entrance to the hall, there were rows of seats for people who could not manage to enter the main hall. On the right, there was a giant Christmas tree decoration, although it did not look like a tree. 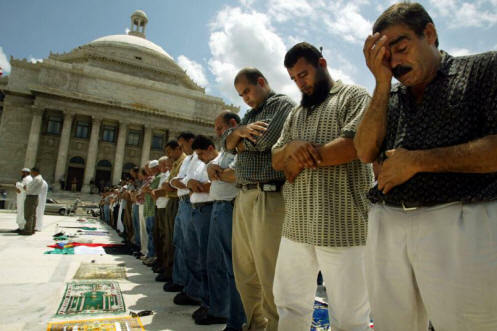 Members of the Palestinian community pray during a demonstration in front of the Puerto Rican capitol building in San Juan, in April 2002. US: By most official measures, Latinos in the U.S. are considered to be the fastest-growing demographic. They are also the fastest-growing group of Muslims in America, according to organizations that cater to Hispanics converting to Islam. 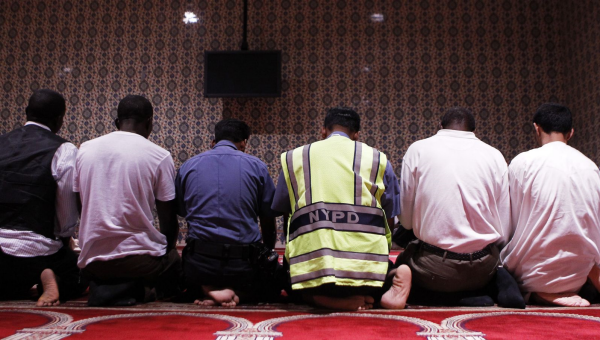 Although the statistics haven�t been widely tracked, there are an estimated 150,000 Islam converts among the Latino community in the U.S., reported the Press-Enterprise, a California newspaper. Mark Gonzales, a Muslim poet and artist in California, told the Orange County Register that immigration officials' targeting of Mexicans and Muslims after the Sept. 11, 2001, terror attacks helped the two demographics find common ground. �Islam is the fastest-growing religion in the world, and Latinos are converting to Islam at a rate higher than any other [ethnicity],� said Gonzalez, who is of Mexican-American and French-American heritage and converted to Islam 12 years ago. Most Latino Americans belong to the Roman Catholic Church, according to religion data tracked by the Pew Research Centre. But the Catholic share of the Latino population has declined, while the number of Latinos who are Protestant or report no religious affiliation has risen. US: Surveillance video shows a man meticulously putting raw bacon over the door handles of a mosque in Las Vegas, and now a Muslim civil rights group is demanding the incident be investigated as a hate crime by federal authorities. Las Vegas police are searching for the man and are calling the incident a possible hate crime. The Council on American-Islamic Relations (CAIR) called for �a state and federal hate crime investigation of the desecration� of the Nevada mosque. �This type of attempted desecration must be investigated as an act of intimidation and hate, and the perpetrators must be brought to justice,� said CAIR National Communications Director Ibrahim Hooper. 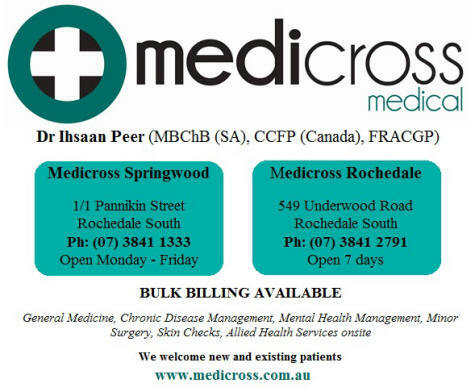 Make sure to keep track of your health and wellbeing. We all get caught up in our busy lifestyles and tend to forget the most important person we need to take care of � YOU! As we begin a new year, most of us set a resolution to lose weight, be more fit or achieve a better body. However, there are bucket loads of marketing out there for new diets, products, cleanses, detoxes and all sorts of things aimed to "help" us reach our goal. But, how do you tell what diets or products are actually good for you and which ones are just marketing gimmicks to cash in on your money? 1. Promises quick weight loss with very minimal efforts. If it sounds too good to be true, it probably is. 2. Requires you to be dependent on a product. E.g. you need to have shakes/bars/powders every single day or regularly for it to "work". 3. Substitutes intake of real food e.g. meal replacements or juices. 4. Completely cuts out a food group. E.g. no bread, no gluten, no meats or dairy (not recommended unless you have allergies or health reasons). 5. Requires you to fast/not eat for more than 1 day at a time. E.g. juice cleanses or detoxes where you don't eat food for a few days or up to a week, and only rely on drinks/juices. This is very unhealthy as it messes with your nutrient intake, metabolism, and it can be very dangerous for your body. 6. Contains laxatives to help flush out "toxins". It basically works to make your bowels move food down a lot faster and you're going to be running to the toilet, a lot. e.g. Teatoxes, slimming teas, etc. This list is not exhaustive, so if you have any specific questions, feel free to shoot me an email. Remember, there is no short cut to being healthy. If being healthy and losing weight was easy, everyone would have lost weight, kept it off and that would be the end of the story. However, being healthy requires consistency and effort. Start by setting small goals and then build from there! Your dedication is the key to achieving good health. Religion in recent times is being seen as almost irrelevant in many European countries, but the religion of Islam has become a hot topic for various reasons. 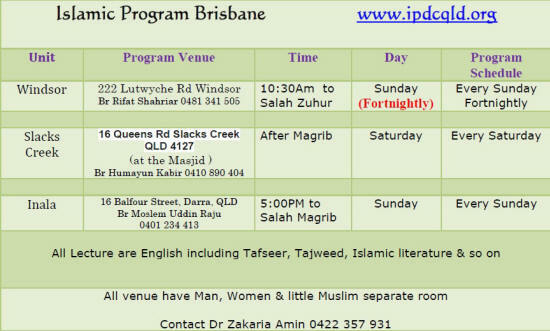 Religious literacy, particularly of Islam, even in our highly educated country is indeed poor. Lazy journalism, or in some cases cheap populism, may be partially responsible for this. Knowledge about one�s own background is essential, but knowing others is no less important in our modern globalised world. The truth is the more our children know traditions other than their own, the more they become confident and mature; they grow up with tolerance and respect for others which is vital in a pluralist society. With the so-called Trojan Horse �Islamist takeover� issue creating a huge misunderstanding in our education sector, the debate on teaching GCSE Religious Studies in our schools keeps on going. The Department for Education proposed that, from September 2016, pupils who take a religious studies GCSE will have to study at least two different faiths (from Buddhism, Christianity, Hinduism, Islam, Judaism and Sikhism) for the first time �to better prepare them for life in modern Britain�. This was agreed by all major faith groups. But the Roman Catholic Church surprisingly ordered their schools to teach only Christianity and Judaism, ruling out teaching Islam and other faiths in GCSE religious studies. 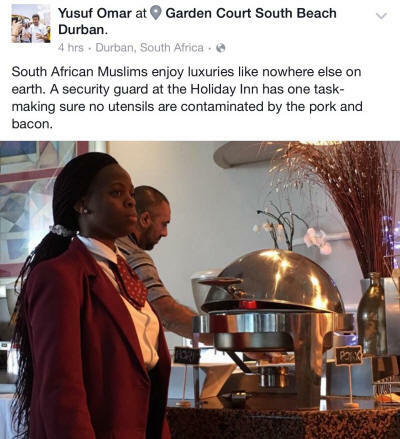 This obviously drew criticism from Muslims. However, Chief Rabbi Ephraim Mirvis proved to be different; he recommended that Jewish school should teach Islam as a second faith, saying that �teaching Islam will give children the opportunity to learn about a poorly understood religion�. This is a bold decision in the current political climate. In spite of common perception about the hostility between Muslims and the Jews, mainly due to the Palestine-Israel conflict in our time, the two religious communities have been together in their good times and difficult periods in history. It was in Muslim Spain where Jewish culture flourished along with the Muslim one during the age of religious pluralism. Maimonides, a preeminent Sephardic Jewish philosopher, physician and astronomer from Cordoba was an intellectual giant in the 12th century. When both Muslims and Jews were subjected to unparalleled persecution by an intolerant Church, many of them left Spain and were warmly welcomed in Muslim countries, some in the Ottoman Empire. History must repeat itself if we want to overcome the depth of ignorance and fear from our midst. When people are equipped with the power of knowledge about themselves as well as others the fear factor plummets; their collective humanity outshines their weaknesses. When ignorance about one another is allowed to prevail the outcome is the ugliness of intolerance and often outright hatred amongst people. Not all powerful nations on earth were able to produce civilisations in the past. The Mongols created the largest contiguous land empire, stretching from Eastern Europe to the Sea of Japan in the 13th and 14th centuries; but they left a legacy of butchering scholars and burning books that created havoc in the land of Islam. On the contrary, when their descendants accepted Islam they created art, architecture and a rich culture in India during the Mughal Empire. 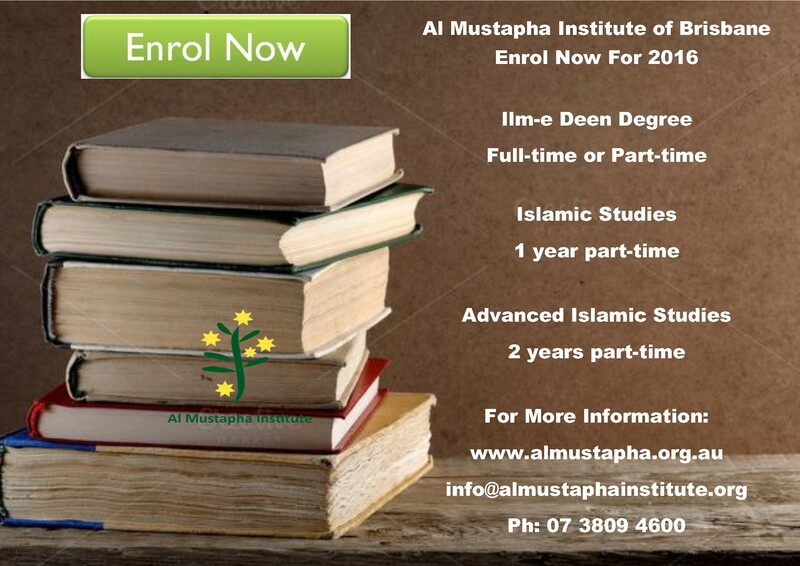 Knowledge was synonymous with Muslims in their better days. Within one hundred years of Islam�s arrival, a sophisticated and highly integrated book industry emerged in the Muslim world. Knowledge gradually became the mass property of all. Cities like Baghdad, Cordoba, Damascus, Ghazni and Delhi used to have libraries in most of their streets. 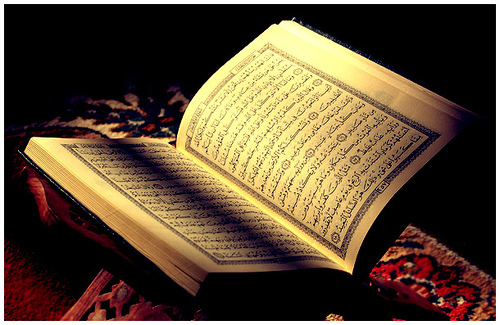 Muslims became the ardent lovers of books. A strong reading habit is one indicator of success for any nation and a hallmark of civilisation. Reading empowers an ordinary person, enriches a scholar and gives confidence to all. Reading stimulates our brain by giving it food for thought. It empowers us internally to take on the challenges of life and take us to a higher level. Reading gives us humility, inner strength, the pride and confidence to move ahead. It enhances critical thinking and bestows us with the gift of understanding and wisdom. A balanced diet keeps us physically active, so good reading keeps us mentally agile. British Muslims would be far better off if only they invest in knowledge and turn much of their energy into reading, learning, thinking, reflecting and reasoning. Revisiting the history of a pluralist Spain would be useful, as that would help them in comparing their better past with the thorny present. Britain�s education system is one of the best in the world and its universities are globally acclaimed in terms of preparing young adults with life skills. 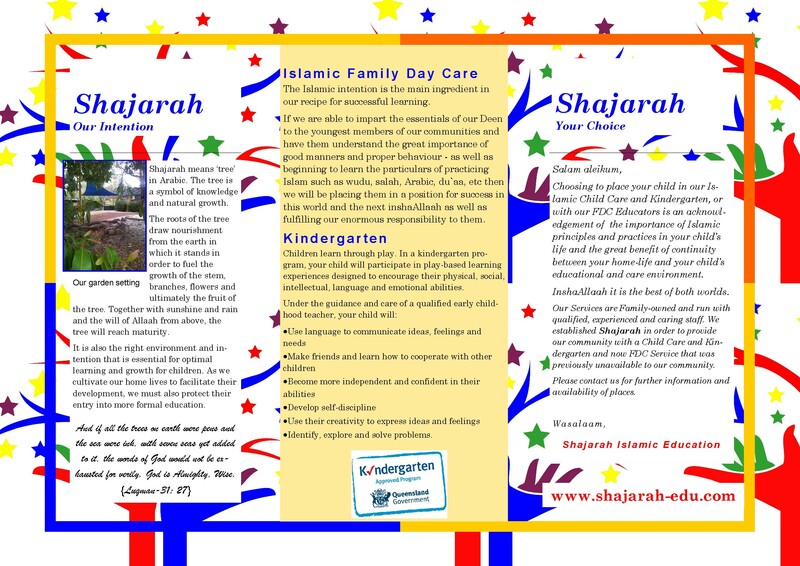 It is promising that the educational achievements of Muslim children have significantly improved over the past few decades from a lower position but it is more vital than ever that this is reflected in their higher aspiration and ambition in all areas of public life. Let us all fall in love with books and heal our fractured world. 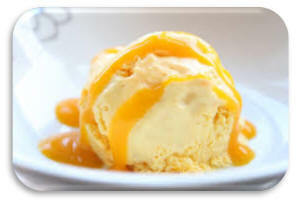 KB says: This is the season for mangoes which are plentiful here in Brisbane, so I am sharing my favourite mango ice cream recipe which has always been very popular. Heat the mixture but do not allow mixture to reach boiling point. Add liquidised mangoes leaving some for the topping. Add enough condense milk to sweeten. Place in an ice cream machine or alternatively pour mixture into a mould and freeze. Journalist: Mula Nasruddin, Sir, as a very successful entrepreneur, what advice would you give to our young men and women who want to succeed in business?" Journalist: "And, what is that?" Journalist: "And how do you get experience?" Say: "If the whole of mankind and Jinns were to gather together to produce the like of this Qur'an, they could not produce the like thereof, even if they backed each other with help and support."